Drawing inspiration from the colour of love, for gifting or receiving this Valentines Day invest in some of these rose-inspired beauty buys, says editor Trudi Brewer. Here are the prettiest Valentine's Day beauty buys, that are fit for any budget. For date night and beyond, this collection comes in one of my favourite colour combinations pink and red. NARS Lunar New Year Powermatte Lip Pigment, in Flame, $41. Once you apply this matte lip colour, you can forget it is on your lips. The long-lasting pigments in this liquid lipstick are smudge-resistant which means you can paint it onto the lips in seconds. For busy women who don’t have time for touch-ups, it’s fab. TOO FACED Razzle Dazzle Berry Eyeshadow Palette, $58. The creamy matte shadows, blend effortlessly with the silky satin shades in this dazzling palette. To create an everyday eye makeup look or something dramatic for after five, this collection of berry and plum hues not only suits any eye colour each shadow has a sweet, summery berry scent - so clever. Tangle Teezer The Original Detangling Hairbrush Wet Dry, $25. This is the brush to keep in your shower. Why I hear you ask? It's perfect for combing through the conditioner, making short work of knots and tangles, ensuring your hair is not damaged. Once you have one you will never be without it - and it comes in a range of pretty colours. Shiseido Ultimune Power Infusing Concentrate, $129. I am never without this skin conditioner, the reason being it keeps my skin looking dewy and feeling healthy. The creamy gel-like texture absorbs in seconds, and it's brilliant under any moisturiser, primer, and sunscreen. For soothing stressed skin, arresting dehydration, and for giving clarity to an uneven complexion - this concentrate is the bomb! Elie Saab Girl of Now Forever, 30ml $115. A pretty fragrance sets the scene on any Valentine's Day date night, and this newbie from designer Elie Saab is dreamy. The blend of tangy and sweet ingredients including almond and orange, Lebanese lemonade, lemon zest, and raspberry, are sweet, however, the floral edge comes Rosa Cassia, the rose-blackcurrant flower. Finally, the musky edge that settles is a blend of patchouli and vanilla, and what will make it last all night long. The bottle was inspired by the world’s most romantic party island’s, Ibiza - what’s not to love. 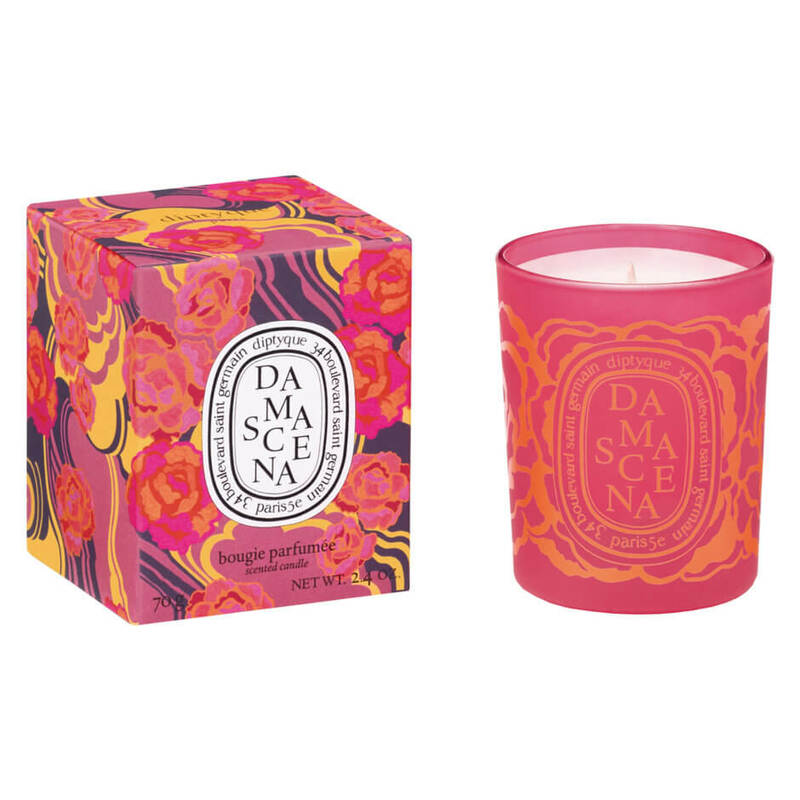 Fill your home with the scent of wild roses with the pure damask rose oil in this candle. Originally grown centuries ago in Persia, this oil is the symbol of love and faith. A timeless gift housed in a modern vessel designed by French artist Jeanne Detallante - divine. 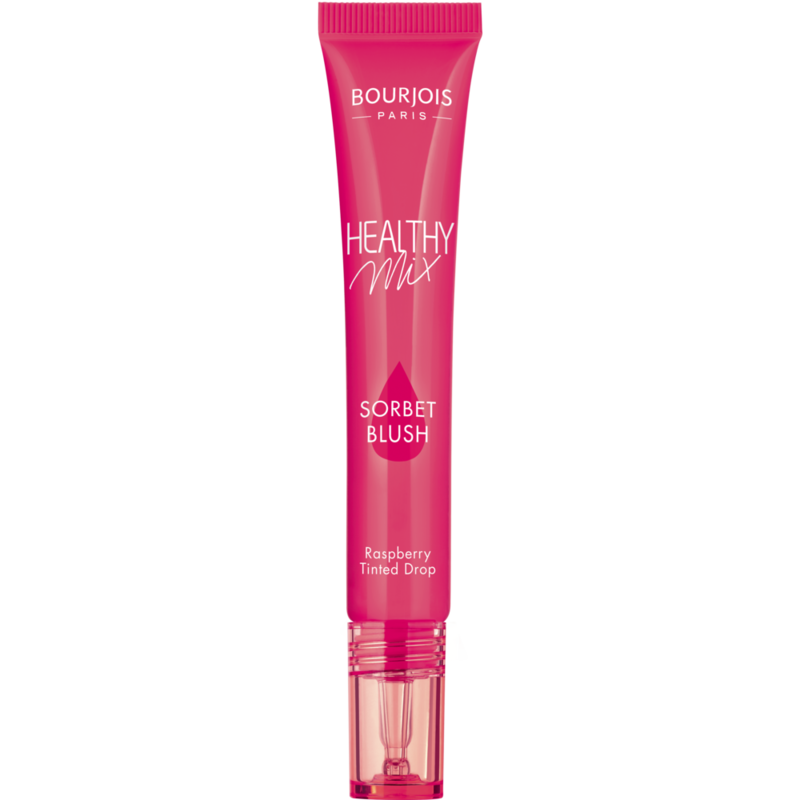 Bourjois Healthy Mix Glow Primer, Pink, $31. Blendable with adjustable intensity, give your cheeks and lips a pop of fresh-looking rosy colour in seconds. Much like the juice from a plum, it stains the skin with a rosy glow ideal to pop over your foundation before you head out the door on date night. Blend it on the skin with your fingers or a fluffy brush. Kenzo Flower by Kenzo, 30ml $110. This iconic bottle of designer scent is the ideal gift for any girl who loves a powdery, floral scent. You will recognise the mandarin, rose and violet instantly, but maybe not the spicy edge, of vanilla and white musk. This fragrance is as stunning as the elegant bottle that it is housed in. CND Vinylux Weekly Polish in Kiss of Fire, $20. It’s the colour of love and happens to be a great shade for summer too. Mark the most romantic day of the year with red nails. This new shade is from the brands recent Night Moves colour collection, and good news, with this polish your red-pink mani will last for seven days.